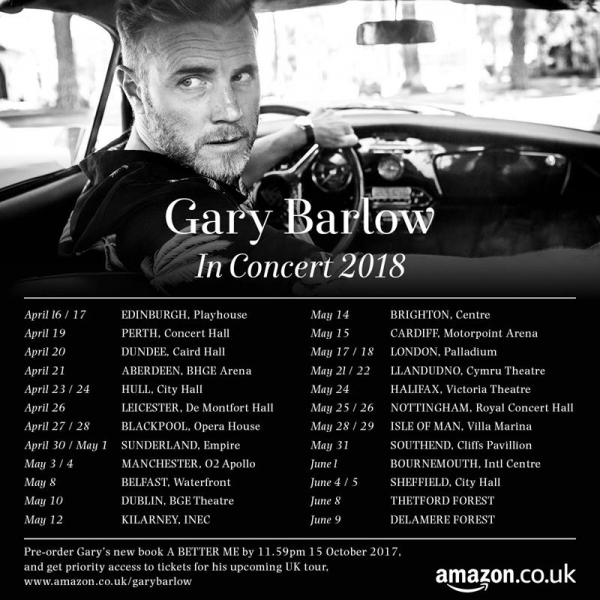 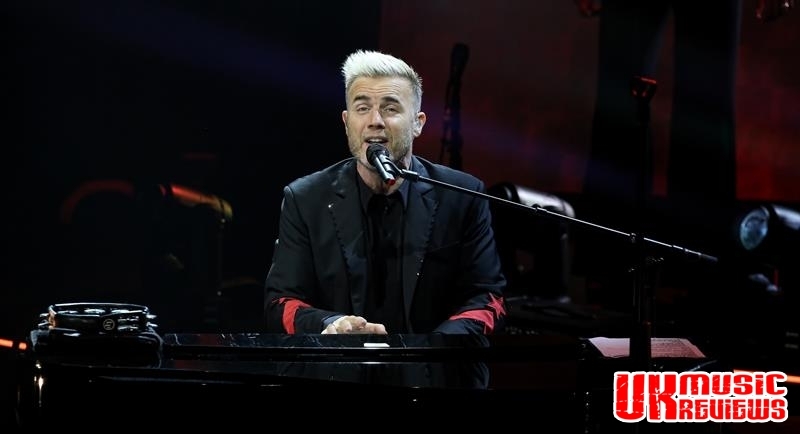 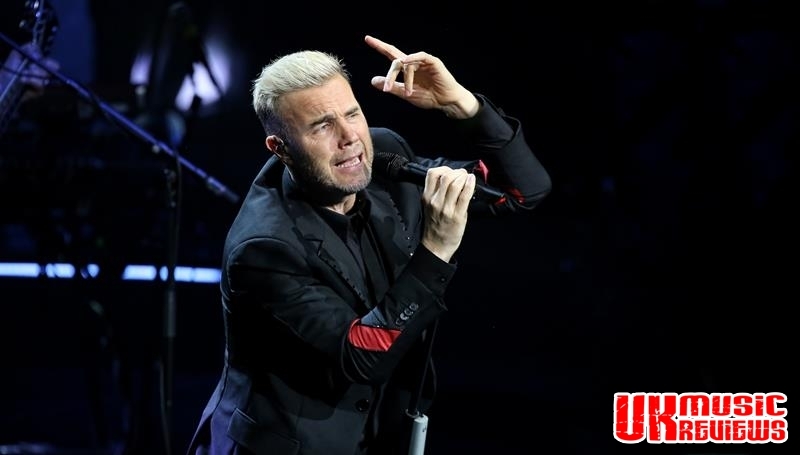 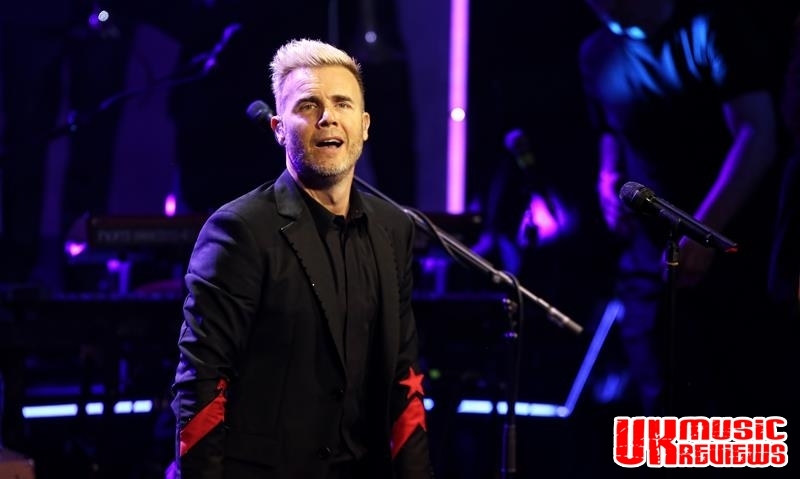 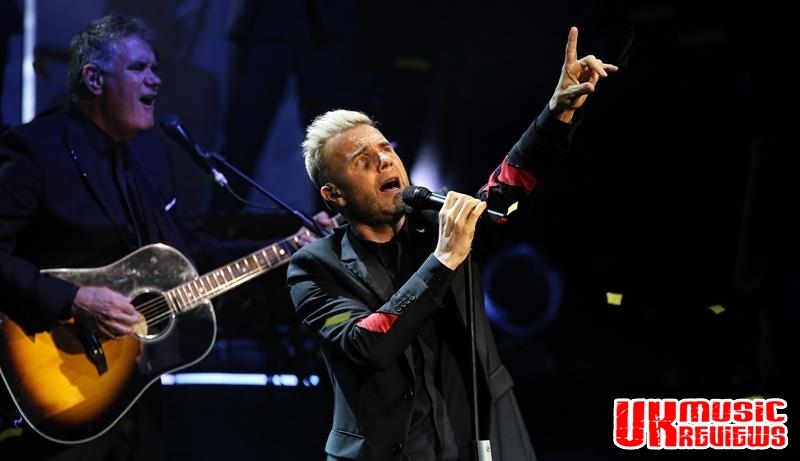 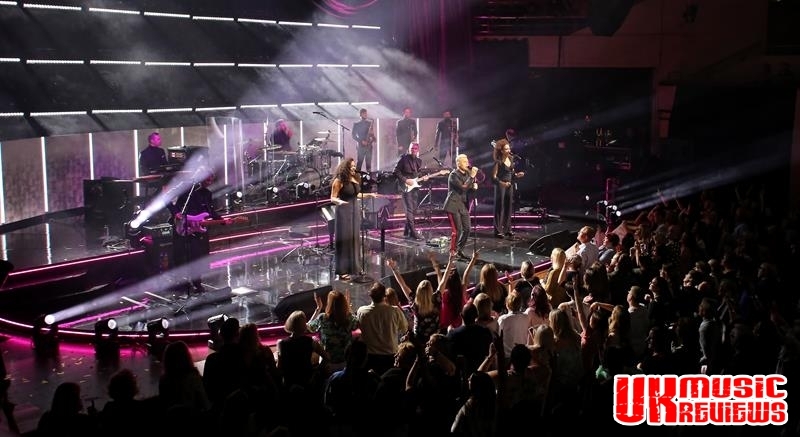 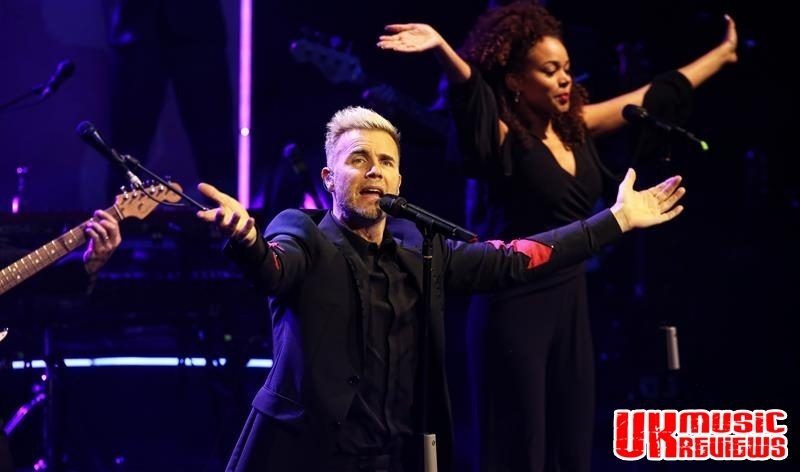 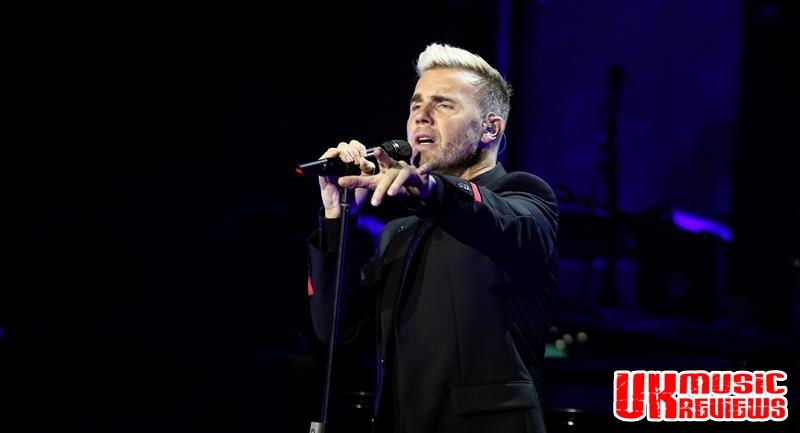 Gary Barlow performing his In Concert Tour at The Royal Concert Hall Nottingham on Friday 25th May 2018. 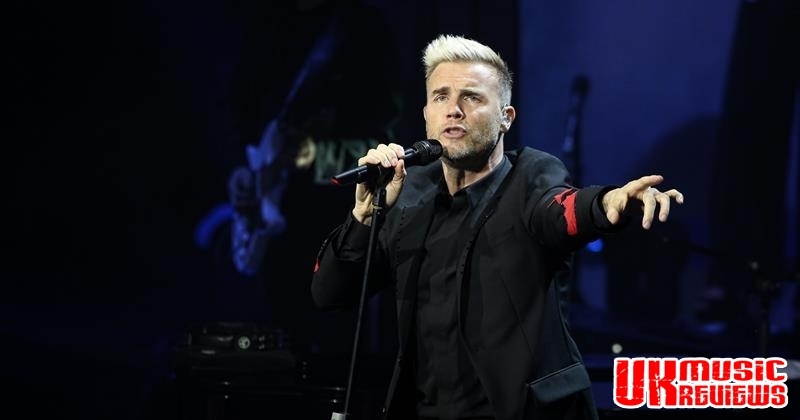 It’s hard to believe from last night’s sold out performance at the Royal Concert Hall that Gary Barlow started his career in Working Men’s clubs, but there was nothing male about last night’s audience, as the screams for him to appear started well before he came on to the stage. 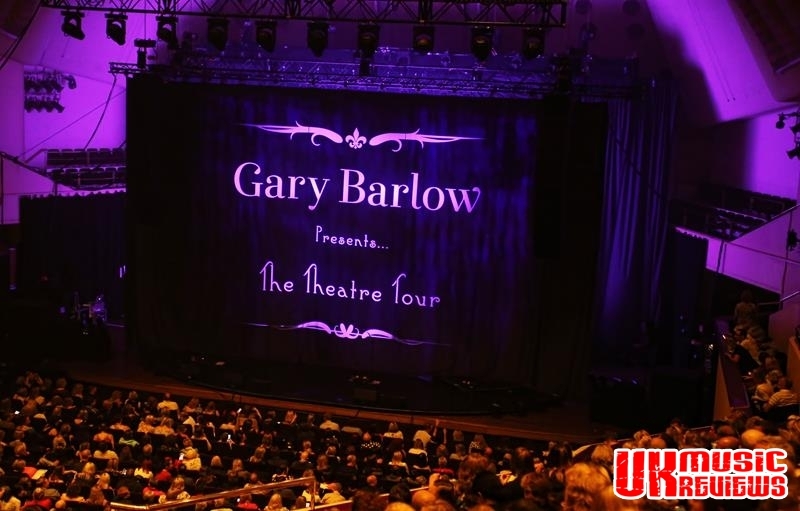 Usually filling arenas around the country, Barlow is in the middle of a fifty date tour of the country’s more intimate venues and the crowd really loved the up close and personal touch as selfies were taken and hands grasped. 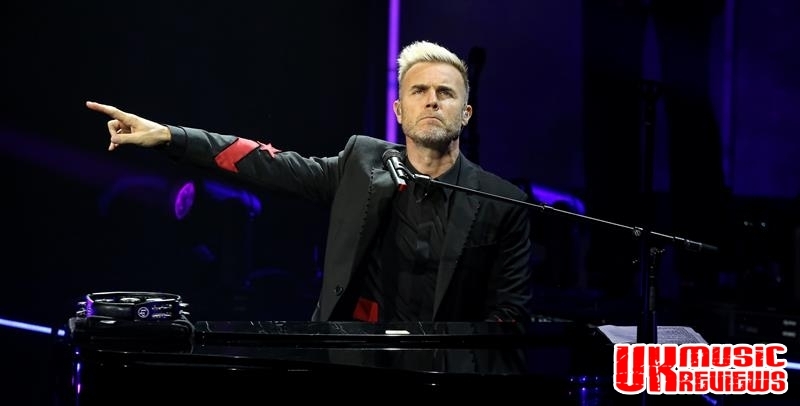 Delivering a crowd pleasing set list of Take That favourites, his solo songs didn’t feature prominently, although he did open with Since I Saw You Last. 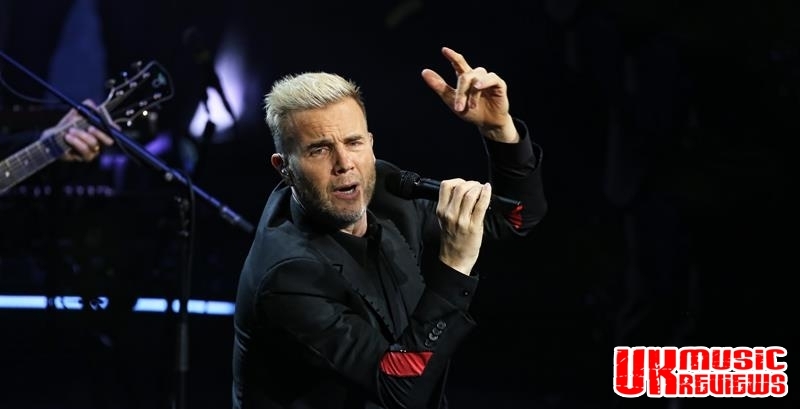 Greatest Day saw ticker tape shower the crowd and as Barlow led his ten piece band through a handful of hits, he showed that he was the consummate entertainer. 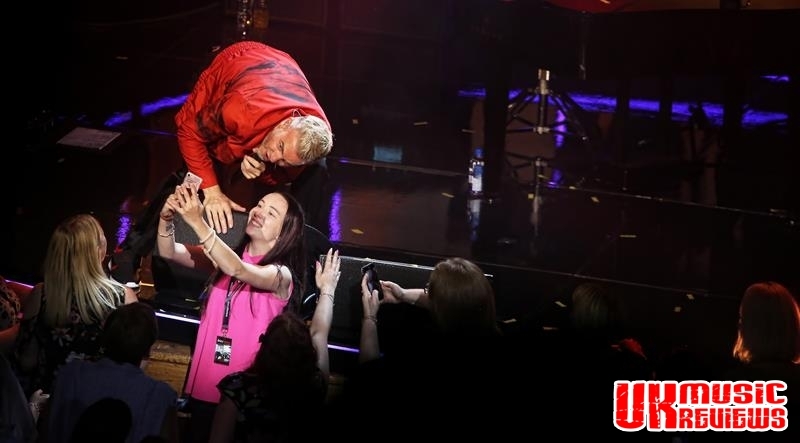 He serenaded a fan with A Million Love Songs and he delivered Everything Changes with a wonderful Swing tinge. 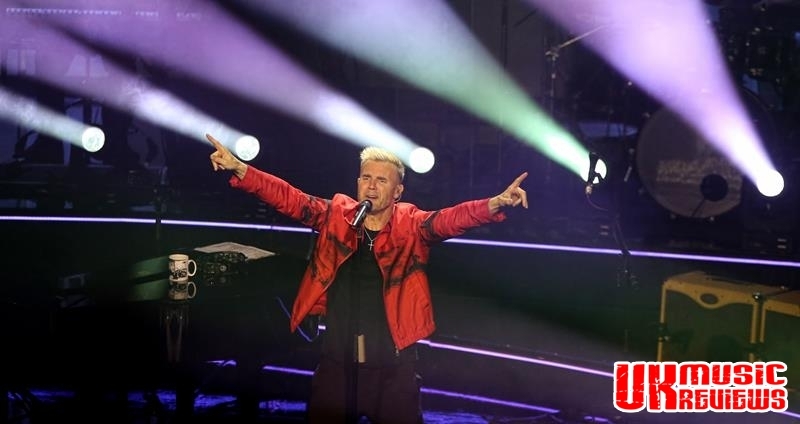 Sure had a jazzy funk touch and Relight My Fire was a real disco stomper. 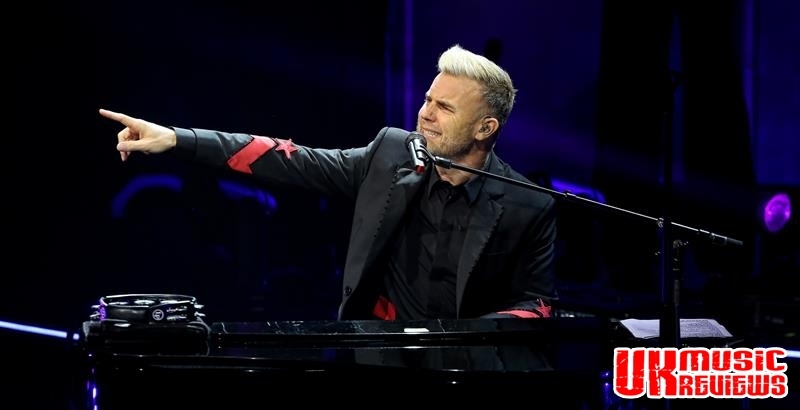 He pulled the Take That album track, Another Crack In My Heart out of the bag from 1994 and produced the highlight of the night, and accompanied Pray with comically bad dad dancing. 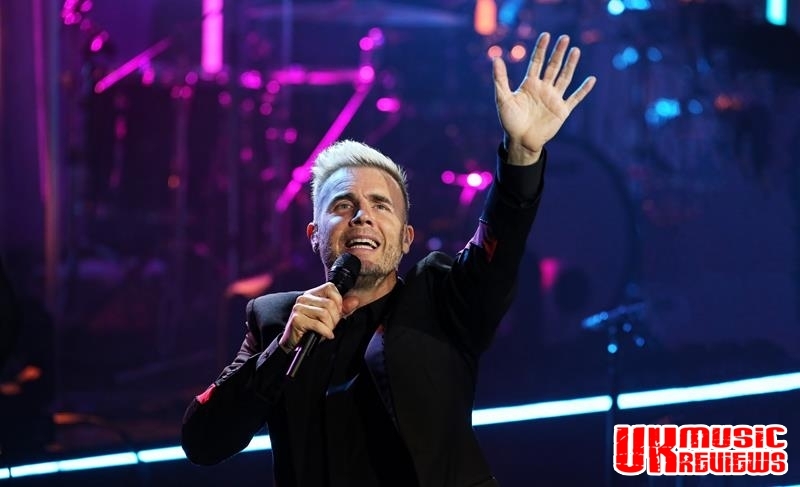 With the whole evening being a mass sing along especially to the mighty tunes such as Shine, Rule The World, Back For Good and the lovely Patience, the crowd were on their feet swaying and singing. 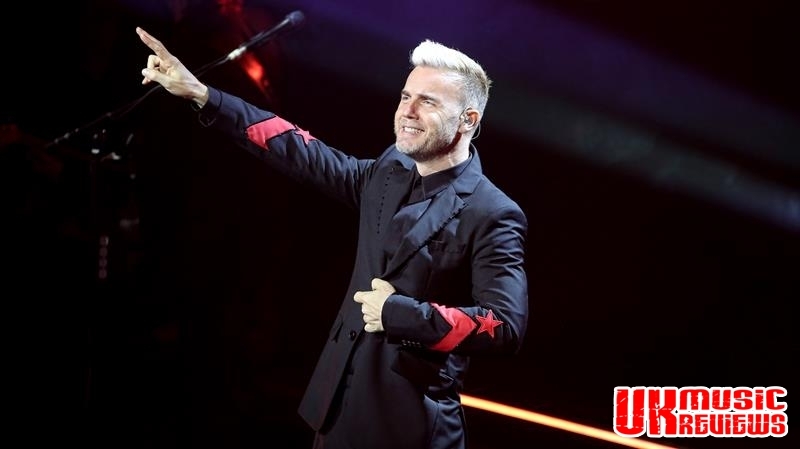 With his witty self mockery and delightful between song banter, Barlow really endeared himself to this already enamoured crowd. 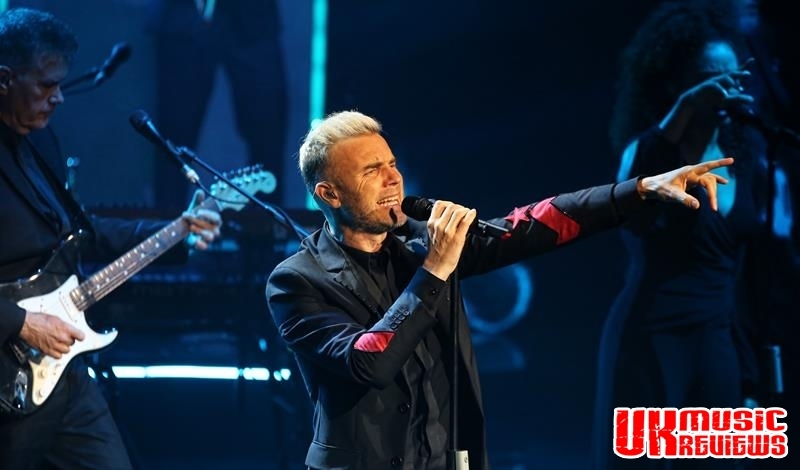 With a 90 minute set finishing with more tape, hand clapping and the foot stomping Never Forget, his up tempo songs and heart wrenching ballads were so well crafted and performed that undoubtedly Barlow is a must to see live.